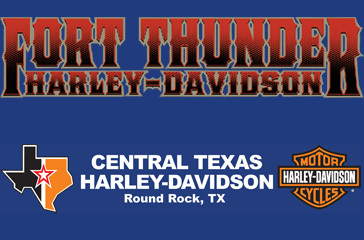 OBJECTIVE: The Fort Thunder Harley-Davidson and Central Texas Harley-Davidson dealerships wanted to create an integrated Mobile Marketing strategy to expand the brand of Harley-Davidson to a new demographic, maintain conversations with loyal consumers and create hyper awareness of the specials and events involved at each dealership.Through the use of mobile marketing with SMS, the dealerships were able to provide special deals, stronger loyalty and deeper conversations with both new customers and long-term customers. Additionally, through the use of text messaging, through 7 Media Group of Oklahoma City, the dealerships were able to boost sales and increase visits to each store through VIP text memberships. Through this unique strategy, The Harley-Davidson dealerships were able to extend their reach to the largest demographic possible and build a robust database of loyal and engaged customers. STRATEGY: The goal for the Harley-Davidson dealerships in 2010 was to grow their mobile & social element. As the social space becomes more and more relevant to all businesses, The Fort Thunder and Central Texas dealerships needed to reach outside of their usual demographic and reward long-standing customers. With a unique and integrated mobile and social strategy, The Harley-Davidson dealerships were able to extend their offerings to a broader target audience, expand their brand image to more people and bring in a new business through special deals, Bike Night events and VIP mobile club memberships. CALL TO ACTION: The Harley-Davidson dealerships were able to integrate mobile marketing and a social campaign by inviting new and existing customers to opt-in to a mobile text messaging club. Customers were able to receive updates via text messaging about special sales, events and members-only deals. Both dealerships were granted access to site that tracked their success with the 7 Media Group mobile marketing, were able to rack return on investment numbers and were able to view the results of each message. RESULTS The two Harley-Davidson dealerships were able to track significant growth through mobile marketing in their social media efforts and mobile club. Most importantly, they saw a tremendous response almost immediately via mobile text messaging on sales and walk-in visitors to the stores. In one case, following a mobile message advertising a special sale, Central Texas Harley-Davidson reported the best sales day in nine months.